The ex-wife of the man convicted in April Kauffman’s killed received a suspended sentence for her part in the drug ring led by the victim’s husband. Beverly Augello was given consecutive five-year sentences for conspiracy and a separate drug possession charge stemming from a car stop while she was on release in the drug ring led by Dr. James Kauffman. 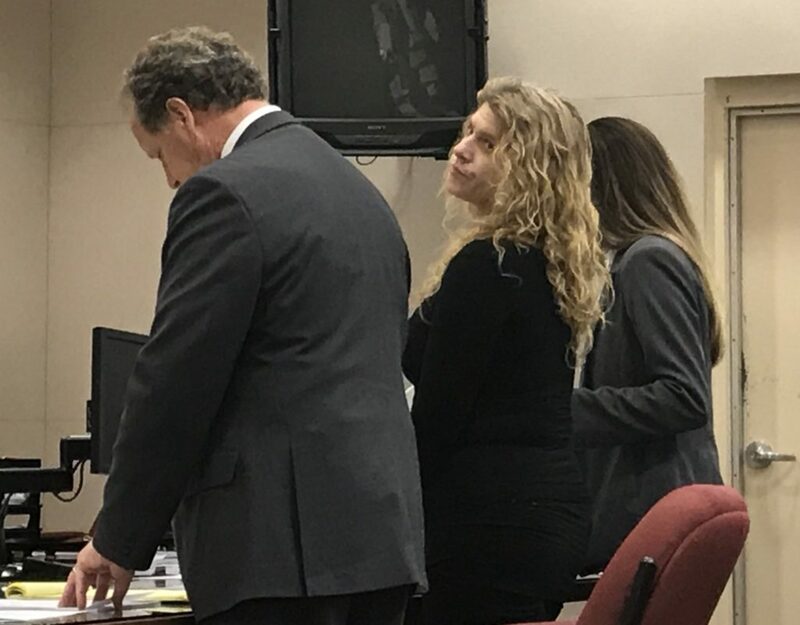 Attorney Hal Kokes asked that the sentence be suspended rather than probation to allow for her to move back to Florida, and continue in her drug recovery. The remaining two defendants were also set to be sentenced Thursday, but both were postponed. It appears Glenn Seeler, who pleaded guilty to second-degree racketeering in the case, was nor prepared to get prison time. The charge carries a term of five to 10 years. But Superior Court Judge Bernard DeLury agreed to sentence Seeler as a third-degree offender, which means three to five years. But while Seeler’s attorney argued for a suspended or probationary sentence, DeLury said that the argument could not overcome the need for some prison time. Seeler’s attorney, Tim Reilly, then requested an adjournment to give his client time to prepare for prison. He is due back Feb. 19. Attorney Ed Weinstock told BreakingAC that there was a miscommunication and that the sentencing likely would take place at 9 a.m. Friday. Both Seeler’s and Mulholland’s pleas were open, meaning Superior Court Judge Bernard DeLury has discretion in sentencing and there was not agreed upon time. DeLury knows the players well, since he has handled the case and oversaw the trial of the man convicted of orchestrating the killing of April Kauffman, who was fatally shot inside her Linwood home May 10, 2012. Dr. James Kauffman paid for the killing to keep his wife from revealing the drug ring he was leading with former Pagans Motorcycle President Ferdinand “Freddy” Augello. The doctor killed himself in his Hudson County jail cell just weeks after he was charged in the killing and racketeering case in January 2018. Augello was convicted of murder and racketeering, but continues to maintain his innocence, while serving a life sentence. Six others were charged in the drug ring. All but one took a deal and testified against Augello. Paul Pagano was the final holdout, quietly pleading to a disorderly persons charge in the case. 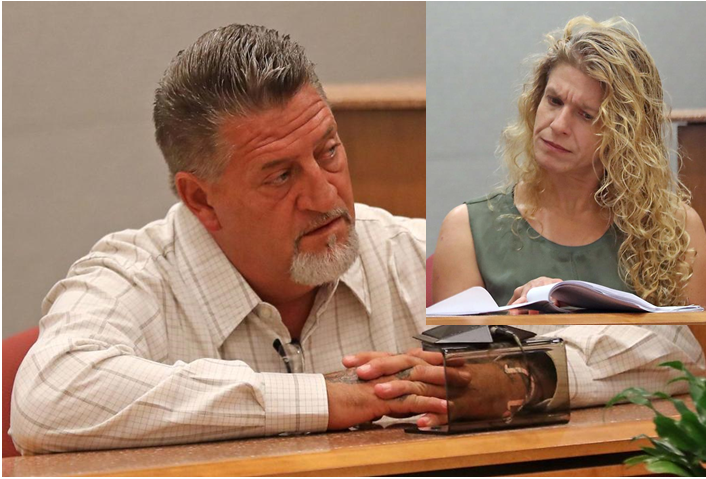 At Augello’s trial, Mulholland admitted to dropping off the now-dead shooter down the street from the Kauffmans’ home the morning of the killing, and then waiting to get word that the woman was dead. He was never charged in the killing, and is to be sentenced under a third-degree charge. His attorney can argue for a suspended sentence. Beverly Augello — Freddy’s former wife — pleaded guilty to third-degree racketeering in the case. She also pleaded guilty to a third-degree drug charge related to a car stop after her arrest in the Kauffman case. Seeler’s estranged wife, Cheryl Pizza, was previously sentenced to a three-year suspended sentence for her racketeering charge. Tabitha Chapman, who pleaded guilty only to a third-degree drug charge in the case, was recently admitted into pretrial intervention, which would allow her to complete a program rather than face sentencing.